In Detroit, 158 of the 392 precincts with ballot discrepancies had just one extra ballot accounted for either in the poll book or in the ballot box, according to the Wayne County’s canvassing report. For suburban Wayne County, 72 percent of the 218 precincts boxes with discrepancies in the number of ballots were off by one ballot. The other ballot discrepancies in Detroit and Wayne County precincts ranged between two and five ballots, according to the report. Disqualifying huge numbers of precincts would make it “almost impossible” for the former New York senator to make up the votes, said Ernest Johnson, a Democratic political activist who worked to get out the vote for Clinton. $100K bill for Genesee Co. Elections officials in Washtenaw and Marquette counties told The News on Monday that votes in all precincts were reconciled. 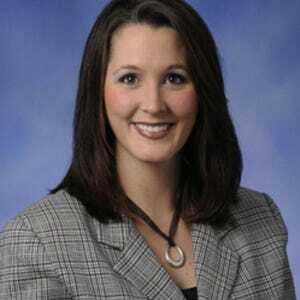 Krista Haroutunian, chair of the Wayne County Board of Canvassers, said recount workers will have to sort out the issue when they encounter these ballot boxes where the numbers don’t reconcile with the election records. Byrum plans to have the ballot bags guarded each night during the recount by a sheriff’s deputy. 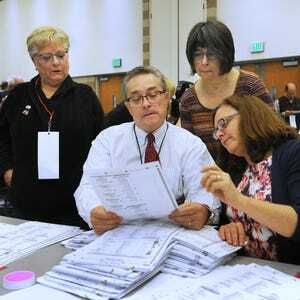 Elections officials instructed Ingham County recount workers who reconciled the ballot numbers on the second count to count them a third time to verify the numbers. “The certified election results would stand if a precinct is determined to be non-recountable,” Byrum told reporters.